The International Institute of Tropical Agriculture (IITA) is a not-for-profit institution that generates agricultural innovations to meet Africa's most pressing challenges of hunger, malnutrition, poverty, and natural resource degradation. Working with various partners across sub-Saharan Africa, we improve livelihoods, enhance food and nutrition security, increase employment and preserve natural resource integrity. Duty Station: The position will be based in Dar es Salaam, Tanzania. • Master's degree in Social Sciences or Humanities with minimum of three to five years' experience in similar roles. • Excellent oral and written communication skills, including ability to write reports. • Proficiency in either the English Language or French with a working knowledge of the other. • Excellent interpersonal and networking skills, with the ability to effectively communicate with a range of individuals through e-mails and in person. • Assist in the development of contract documents and partnership arrangements with TAAT Clearinghouse, the TAAT PMU, and PDAU of IITA. The initial contract for the position is two years with possibility of renewal. 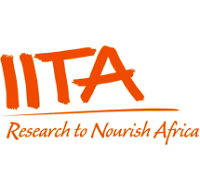 This is a nationally recruited position and IITA offers a competitive remuneration package.